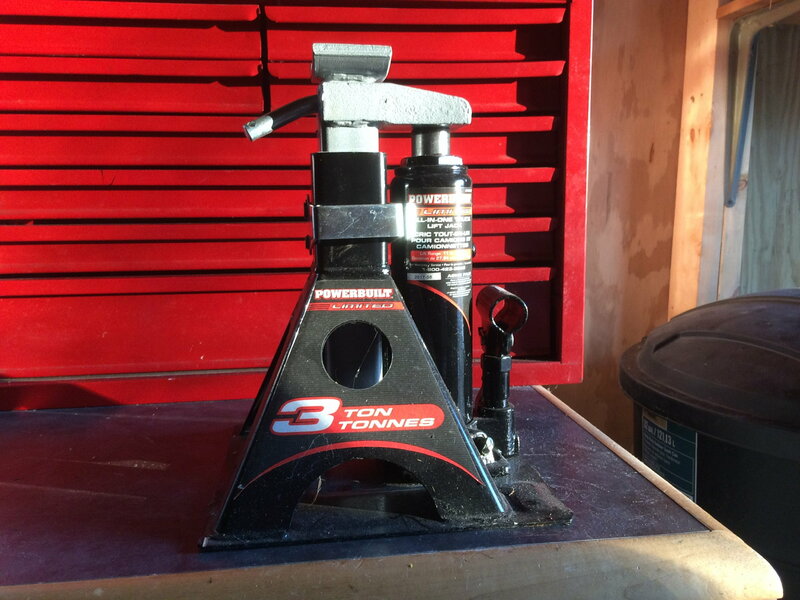 Hello - I was wondering if you guys could recommend some truck jack / jack stands / stand and jack combo that have done you well? Get a 3 ton jack from Harbor Freight with a 20% off coupon. I got this combo from tractor Supply Co. Good quality and has served me well! I think it’s also available on Amazon. Dang, I really like the jack/stand combo, I might have to pick one up. I've had a 3.5 ton AC Delco floor jack and stands that's served me well for about 15 years. That might be sacrilege to own on this site, but I bought it when I needed a jack late one night and it was all the autoparts store had. If I were purchasing a new one today, I'd look at Harbor Freight. Some of their other stuff can be crappy, but their hydraulic jacks are actually pretty good. I've had an ATV jack from them for 10 years that see's regular use lifting up my zero turn mower and dirt bike. Also have a 20-ton shop press from them. I've bent the I-beams, but the jack itself still works great. No hate on the freight. There are several things that I really like about having that jack/stand combo. One is that it has a solid plate for a base. My work area is gravel and regular stands dig into the ground. The second reason I like it so much is the adjustable height. I can jack my truck (4WD) up by the frame high enough to get a wheel entirely off the ground for removal. I own several jacks and even have a quick jack scissor lift. However I've always been impressed with my Arcane hybrid steel/aluminum jack that I got from Costco. 3 ton rated, lifts the truck effortlessly, and feels solid. I own a couple HF jacks and they too are completely adequate, but not as nice as the Arcane. Ordered!! Thank you guys for the quick advice.